The British Pound is under pressure against its major competitors in early 2017 with the late-2016 recovery bounce finally failing, and reversing. Now is the time to prepare for an extension of the longer-term downtrend sparked following the EU referendum result argue analysts at Goldman Sachs. The investment bank believes markets are beginning to realise they may be flattering Sterling by pricing it at current levels. 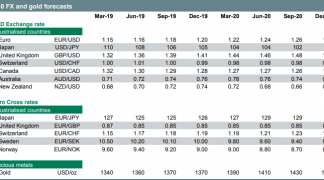 In a new research note to clients, seen by Pound Sterling Live, Goldman Sachs say the foreign exchange market has not actually yet re-engaged with selling Sterling. Net shorts (bets against the Pound) have been reduced and GBP has been one of the few G10 currencies not to depreciate substantially against the Dollar since the US elections. “In our view, Sterling is ‘actionable’ and soon set to become even more ‘unfashionable’, despite the recent move lower, as coming political events will only increase uncertainty on the future relationship between the UK and the EU,” says analyst Silvia Ardagna at Goldman Sachs in London. Of concern to analysts at Goldmans is the UK's persistent current account deficit. The current account is the essentially the country's bank account with the rest of the world, determined by such things as trade and inward and outward investments. If in deficit, the currency requires notable inflows of inward investment to keep the currency stable. Luckily for the UK this has been the case for many years now - the kindness of strangers has papered over the UK's addiction to imports which would typically command a lower currency. With expectations for this inward investment flow to dry amidst uncertainty over the referendum the Pound must adjust lower. "We estimated that trade-weighted Sterling could fall by around 20-40 percent relative to pre-Brexit levels for the UK’s current account to reach a lower level of around 1.5 percent of GDP, and that Cable could fall a cumulative 25 percent in response to the large uncertainty shock that has hit the UK economy," says Ardagna. At the end of December, Q3 balance-of-payments data showed that the current account deficit widened to -5.2 percentage points (ppt) of GDP from -4.6ppt in Q2 and the trade deficit worsened to -2.8ppt from -1.5ppt. This data suggests that the recent weakness in the Pound has yet to have a material impact. 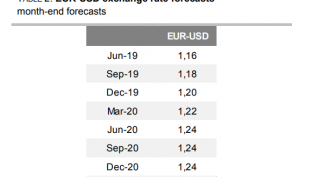 "Although over time Sterling depreciation should boost exports and reduce the trade deficit, and continue to lead to an improvement of the primary income balance, these data also show that the external balance may necessitate an even stronger currency correction," says Ardagna. 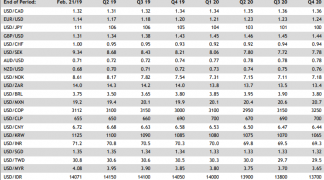 Goldman Sachs have taken a look at Q3 balance-of payments data, published at the end of December. These are the first available data on international flows since the referendum and they give a sense of how international investors see the outlook for Sterling and UK assets. On the portfolio investment side, foreigners increased their exposure to UK equities, reflecting the positive impact of Sterling depreciation on the value of UK companies with large foreign exposure, but sold Gilts. "This is another indication that foreign investors’ confidence in UK assets ebbed," says Ardagna. Goldman Sachs have acknowledged they have held a more pessimistic view than the market on the probability of the UK triggering Article 50, on losing participation in the Single Market and, more generally, on the fall-out from Brexit. It is also noted that markets have, through the course of November-December, cleaned out the heavy negative positioning against Sterling which made pushing it yet lower harder. As such positioning is now cleaner. From a strategic point-of-view they believe the timing is now right to built exposure to a weaker Sterling again. As such, their Top Trade recommendation to be long USD against an equally weighted basket of EUR and GBP for a potential return of 10%. Goldman Sachs' viewpoint stands in marked contrast to those offered by the likes of Lloyds Bank who see a gradual appreciation in the Pound exchange rate through 2017. Another institution seeing gains are Nordea Markets who give their views here. 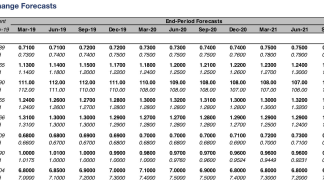 Goldman Sachs now forecast the Pound to Dollar exchange rate at 1.14 in 12 months, revised down from 1.25 in November. The Pound to Euro exchange rate is forecast at 1.1364 in 12 months.